The music of Michael Torke has been called "some of the most optimistic, joyful and thoroughly uplifting music to appear in recent years" (Gramophone, August 1996). 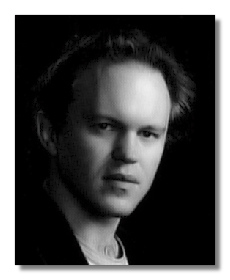 Hailed as a "vitally inventive composer" (Financial Times of London, February 25, 1995) and "a master orchestrator whose shimmering timbral pallete makes him the Ravel of his generation" (New York Times, June 30, 1996), Michael Torke has created a substantial body of works in virtually every genre, each with a characteristic personal stamp that combines restless rhythmic energy with ravishingly beautiful melodies. Torke's most recent orchestral work is Javelin (1994), a 'sonic olympiad' commissioned by the Atlanta Committee for the Olympics in celebration of the Atlanta Symphony Orchestra's 50th Anniversary Season. In the spring of 1996, two different recordings of Javelin were simultaneously released - a rare occurence for a contemporary composition. The first recording, which features the Atlanta Symphony Orchestra conducted by Yoel Levi, was the fourth all - Torke CD to be released by Decca's Argo label. The second recording is on Sony Classical's Summon the Heroes, the official centennary Olympics album featuring the Boston Pops conducted by John Williams, which is the Number One CD on Billboard's Classical Crossover Chart. Other recent compositions include: December (1995) for string orchestra; Nylon (1994) for guitar and orchestra; July (1995) for saxophone quartet; and a Soprano Saxophone Concerto (1993), which has been recorded twice in the last year. Vocal music has played a prominent role in Torke's recent output. In Four Proverbs (1993) for female voice and ensemble, Torke manipulates words in the same way he has manipulated thematic cells in his earlier works and, in so doing, creates a unique symbiotic relationship between language and music. This technique is further explored in his most recent work - Book of Proverbs World Premiere 1996, for soprano, baritone, chorus and orchestra - which received its world premiere in Holland in September 1996, with the Netherlands Radio Philharmonic Orchestra and Choir conducted by Edo de Waart. His opera King of Hearts (1993), which was commissioned for British television (Channel 4) and broadcast in January 1995, recently received its stage premiere at the 1996 Aspen Festival. With two of his most widely-performed works, Ecstatic Orange and The Yellow Pages (both written in 1985 while Torke was a composition student at Yale), Torke practically defined post-minimalism, a music which utilises the repetitive structures of a previous generation to incorporate musical techniques from both the classical tradition and the contemporary pop world. From these initial kinetic scores, Torke's music has developed toward larger, more expansive forms allowing for greater textural variation and longer, sweeping themes. 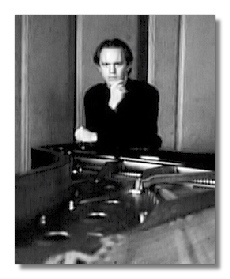 Over the past decade, Torke's vibrant music has strongly appealed to choreographers including: Ulyssees Dove (Alvin Ailey), James Kudelka (San Francisco Ballet), Jiri Killian (Netherlands Dance Theatre), Glen Tetley and Peter Martins (New York Ballet), who has choreographed seven of Torke's compositions to date (four of which were NYCB commissions). Many of these works can be heard on the five Decca / Argo CD's devoted to his music. Born on September 21st in Milwaukee, Wisconsin; at age five, begins piano lessons and start to compose. Composes first large-scale work, for a local youth orchestra in which he is principal bassoonist. Wins competitions for young composers and pianists. At Interlochen Arts Festival encounters the music of Bartók and Stravinsky for the first time. Attends Eastman School of Music where he studies composition with Christopher Rouse and Joseph Schwantner as well as piano with David Burge. Earns numerous awards for student composers including two fellowships to Tanglewood, where Gunther Schuller leads the premiere of Ceremony of Innocence. Wins Eastman's annual concerto competition, performing Beethoven's 'Emperor' piano concerto with the school orchestra. Composes Vanada, a breakthrough work representing his first use of popular music elements. Graduate studies at Yale School of Music with Jacob Druckman and Martin Bresnick. Composes Ecstatic Orange, the first of his 'colour works', and The Yellow Pages, one of his most frequently-performed pieces. Leaves Yale to work independently in New York, Ecstatic Orange is given its premiere by Lukas Foss conducting the Brooklyn Philharmonic. Vanada performed at the Concertgebouw in Amsterdam by the Asko Ensemble. The New York Youth Symphony commissions Bright Blue Music, which receives a critically-acclaimed premiere at Carnegie Hall. Signs agreement with Boosey & Hawkes. Begins year in Italy after winning Rome Prize. Composes Green and his chamber opera The Directions, which is given it's premiere in Crete. Awarded fellowship from the National Endowment for the Arts. Ecstatic Orange has its European premiere, with Oliver Knussen conducting the Danish Radio Orchestra; Adjustable Wrench has premiere at Huddersfield Contemporary Music Festival. Peter Martins choreographs Ecstatic Orange for the New York City Ballet, later expanding it into a three-part ballet of the same title, beginning an extended collaboration with the composer. The Yellow Pages is selected as a Recommended Work in UNESCO's International Rostrum of Composers and is broadcast on the radio networks of more than 30 countries. New York City Ballet commissions Black & White for the company's American Music Festival, to be choreographed by Martins. Empire Brass Quintet gives premiere of Copper with the Detroit Symphony. Slate, another NYCB commission, is choreographed by Martins. John Adams conducts the Saint Paul Chamber Orchestra in the premiere of the 'Beethovenesque' orchestra piece Ash. The newly revived Argo label signs Torke to an exclusive recording contract. Rust has world premiere with Orkest de Volharding at the Huddersfield Contemporary Music Festival and U.S. premiere with the Orchestra of St Luke's in New York. Mass, for baritone solo, chorus and orchestra, receives its premiere, extending a series of works that explore idioms associated with the 19th century; it is followed by Bronze, a romantically virtuosic piano concerto. First all-Torke Argo release appears featuring five chamber and ensemble works. Second disc on Argo, Color Music, is released. Premiere of the ballet Ash, choreographed by Martins for the NYCB. Completes Music on the Floor, Chalk, and Monday and Tuesday, returning to the more rigorous style and formal concerns of earlier chamber scores. Chalk recorded by Balanescu Quartet for release on Argo. Composes Run, commissioned by the New York Philharmonic to commemorate the orchestra's 150th anniversary season. Renewed involvement in vocal music with Four Proverbs and an opera for television, King of Hearts, created in collaboration with director/librettist Christopher Rawlence for Channel 4 in the UK. Albany Symphony Orchestra commissions Piano Concerto and Saxophone Concerto; cantabile melodies prominent in both works. Writes Javelin for the Atlanta Symphony Orchestra, and Nylon for Nicola Hall and the East of England Orchestra. Third all-Torke disc issued on Argo; in addition King of Hearts, Saxophone Concerto, and Charcoal are recorded for future release. Writes December, commissioned by the Des Moines Symphony Orchestra and July, a saxophone quartet, commissioned by the Apollo Saxophone Quartet. Saxophone concerto released on Argo. Writes Flint for ensemble. King of Hearts, a television opera for Channel 4 (UK) receives its broadcast premiere. Javelin, Run, and December are all recorded in Atlanta for future release. Begins work on Book of Proverbs, a work for chorus and orchestra commissioned by the Nederlands Radio Philharmonic for premiere September 1996. Completes Overnight Mail commissioned by the Orkest de Volharding. In February 97 he completes the San Francisco commission, his first symphony entitled simply 'Brick Symphony'. Completes Pentecost for soprano, organ and string orchestra in November following a commission from St Mary's Church of Elm Grove, Wisconsin. Fifth all Torke cd released in December entitled 'Overnight Mail'. Begins work on Disney commission, a large work for chorus, orchestra and soloists. Brick Symphony World Premiere and performances on four successive nights takes place on January 14th in San Francisco with the San Francisco Symphony Orchestra under the direction of Alasdair Neale. ~ Copyright © David Charlton, 1995-2000. If you have any comments, additions or questions I would be really pleased to hear from you! 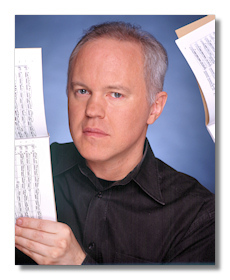 This is the 'Unofficial' Web Page for Michael Torke. The music of Michael Torke is published by Boosey and Hawkes. Source attribution: Boosey & Hawkes, Michael Torke.